Fort Lauderdale, Fla., December 3, 2018 — NSU Art Museum Fort Lauderdale’s symposium “The History of Art and Hip-Hop in South Florida,” coinciding with the presentation of the rap musical Hamilton at Broward Center for the Performing Arts, explores the rich and distinct developments of this interdisciplinary genre in the region. The symposium is free and is part of the Museum’s monthly Free First Thursday Starry Nights. Featuring artists and performers steeped in Southern hip-hop, this symposium addresses the expansion of the genre in South Florida in the 1980s with its unique fusion of Reggae, West Indian, Latino, and African music and dance with early rap and Miami bass, the role pirate radio and Broward-based WEDR radio played in broadcasting this unique blend, and how it influenced the work of South Florida artists. Participants include artists william cordova, Luis Gispert, and Kandy Lopez, among others. Free dance and rap workshops and demonstrations presented by NSU graduate and choreographer Alonzo Williams will be held prior to the symposium for children, teens and adults. Free; limited seating, reservations are strongly encouraged. Reservations: https://web.ovationtix.com/trs/pr/1002775 or call 954-262-0258. NSU Art Museum Fort Lauderdale offers free admission to children under 12 every day of the year; and free admission to adults on the first Thursday of each month. Creativity Exploration workshops help participants understand the emotional benefits of making art and foster inclusion, acceptance and understanding as part of NSU Art Museum’s A Sense of Pride programming. Museum on the Move hosts over 4,000 Broward County students each year for tours and activities. NSU Art Museum Fort Lauderdale provides exceptional learning and inspirational opportunities through access to works of the highest level of artistic expression. The Museum is housed in an 83,000-square foot modernist building designed by Edward Larrabee Barnes, and is located in the heart of the city’s downtown riverfront. Under the helm of Director and Chief Curator Bonnie Clearwater, the Museum is a leader in the visual arts and a vibrant cultural resource serving South Florida and national and international audiences. In 2008, the Museum became part of Nova Southeastern University, one of the largest private research universities in the United States. A collecting institution since 1959, NSU Art Museum Fort Lauderdale’s permanent collection was established with acquisitions of 19th and 20th Century American and European paintings and sculpture, Oceanic, African, Pre-Columbian and Native American art. Today, among its most notable holdings is the largest collection of Cobra art by the avant-garde post-World War II artists of Copenhagen, Brussels and Amsterdam in the U.S.; the world’s largest collection of works by American painter and Ashcan School founder William Glackens (1870-1938); strong collections of works by Latin American and Cuban artists of the 20th century; and contemporary paintings, sculpture, video, installations, and drawings with an emphasis on women and multicultural artists. Two scholarly research centers complement the collections: The Dr. Stanley and Pearl Goodman Latin American Art Study Center and the William J. Glackens Study Center. Exhibitions and programs at NSU Art Museum Fort Lauderdale are made possible in part by a challenge grant from the David and Francie Horvitz Family Foundation. Funding is also provided by the City of Fort Lauderdale, Wege Foundation, Community Foundation of Broward, Funding Arts Broward, Broward County Board of County Commissioners as recommended by the Broward Cultural Council and Greater Fort Lauderdale Convention & Visitors Bureau, the State of Florida, Department of State, Division of Cultural Affairs and the Florida Council on Arts and Culture. NSU Art Museum Fort Lauderdale is accredited by the American Association of Museums. Located in beautiful Fort Lauderdale, Florida, NSU is ranked among U.S. News & World Report’s Top 200 National Research Universities and is a dynamic, private research university providing high-quality educational and research programs at the undergraduate, graduate, and first-professional degree levels. 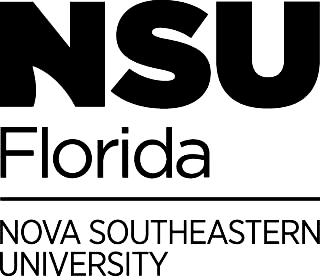 Established in 1964, NSU now includes 16 colleges, the 215,000-square-foot Center for Collaborative Research, a private JK-12 grade school, the Mailman Segal Center for Human Development with specialists in Autism, the world-class NSU Art Museum Fort Lauderdale, and the Alvin Sherman Library, Research and Information Technology Center, which is Florida’s largest public library. NSU has campuses in Fort Lauderdale, Fort Myers, Jacksonville, Miami, Miramar, Orlando, Palm Beach, and Tampa, Florida, as well as San Juan, Puerto Rico, while maintaining a presence online globally. Classified as a research university with “high research activity” by the Carnegie Foundation for the Advancement of Teaching, NSU is one of only 50 universities nationwide to also be awarded Carnegie’s Community Engagement Classification, and is also the largest private institution in the United States that meets the U.S. Department of Education’s criteria as a Hispanic-serving Institution. For more information, please visit nova.edu.